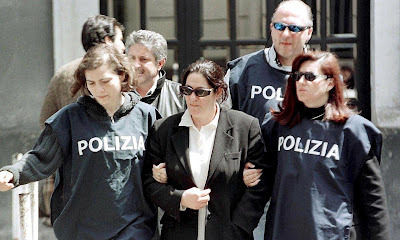 The British newspaper the Guardian offers a piece on the arrest of a Sicilian organized crime group led by alleged female mobsters. Italian police have arrested dozens of suspected Mafia members in an international operation to dismantle a powerful Sicilian crime group run by women. Over 500 officers took part in the raid on the Laudani clan in the Sicilian port of Catania, nicknamed “Mussi di ficurinia” (“Prickly pear lips”), in a sting that also involved forces in Germany and the Netherlands, Italian police told AFP. Three women, known as the three queens of Caltagirone, a town near Catania, had ruled the clan with an iron grip as well as governing all financial matters but were brought down by the heir to the clan who began helping police. The suspects were all wanted for Mafia association, extortion, drug trafficking and possessing illegal arms.